6 states. 2 territories. 7,692,024 km². 516 national parks. 19 marine parks. But the numbers can’t come close to the reality of it all. Take the rest of your life off. Explore Australia. What do you do when you can’t agree on the location of your capital city? Simple. You create a new one from scratch. From wine country to outback mining towns; lush national parks to world famous beaches. And that’s before you reach Sydney. Australia’s 3rd largest state has only 1% of the people – and most of them are in Darwin. Which leaves an awful lot of wilderness to explore. Where infinite adventure and the world’s greatest natural wonder await. Discover life on the edge. Nowhere in Australia is the air as fresh, the food as sumptuous and the landscape as utterly compelling as Tasmania. Visit it. Fall in love with it. Victoria may be defined by a (literally) rich gold mining heritage. Yet with fine walking, fine wines, stirring history and stunning natural beauty, you’ll discover there’s as much to treasure above ground as under it. 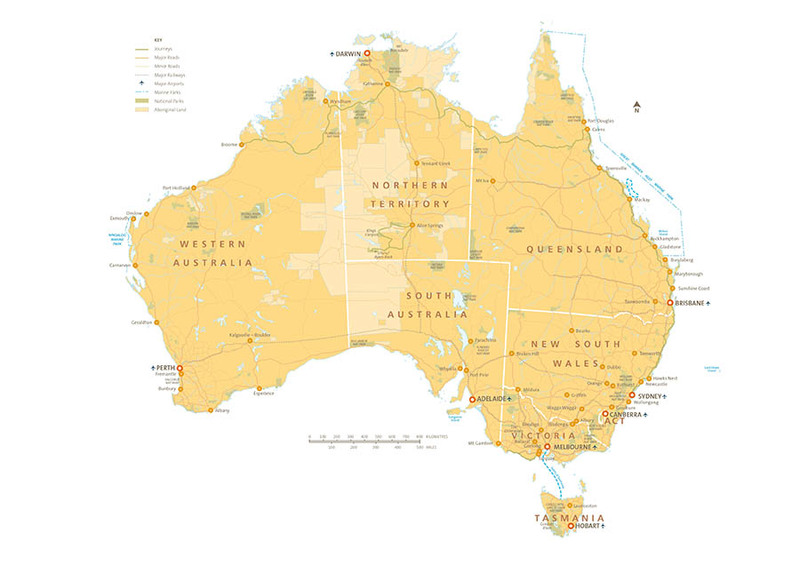 Australia’s largest state has wonders to match its size. From shipwrecks to natural treasures; from the energy of Perth to the walking trails and historical sites, experience adventure on a different scale in WA. The picture postcard places are as impressive and majestic as you’d expect. Perhaps even more so in the case of Uluru and Sydney Harbour Bridge. But Australia is no more summed up by its headline acts than Britain is summed up by Stonehenge, the Royal Family and Shakespeare. So get off the beaten track. Meet the people. Eat and drink where they do. And get beyond the cities and the tourist areas to discover a place that’s even more compelling.